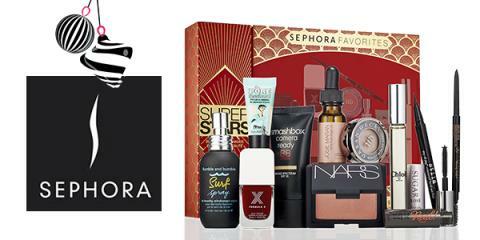 Thrifty and Frugal Living: Earn $15 on $20 purchase at Sephora via Swagbucks! Earn $15 on $20 purchase at Sephora via Swagbucks! I have some great news for Sephora fans that are Visa cardholders. Swagbucks has an incredible deal right now - register your VISA card via this offer and you'll get $15 in Gift Cards of your choice (1500 Swag Bucks) when you make a purchase of $20 or more at any Sephora store! The best part is that you can complete this offer up to 5 times, meaning you can get a total of $75 in FREE gift cards through this offer. If you haven't joined Swagbucks yet, this is the time to join - just click this link and you'll be taken straight to the offer! Went to Sephora today after registering my visa & did 5 transactions over $20. Only one $15 GC was credited. I've read elsewhere since then that it's one per member. Did you read that it was up to 5 transactions per memmber somewhere? Thanks!